Gerda skirt is a classic a-line denim skirt in a dark blue organic denim fabric. The skirt is high waist and has 70ies inspired detailed cutlines front and back. 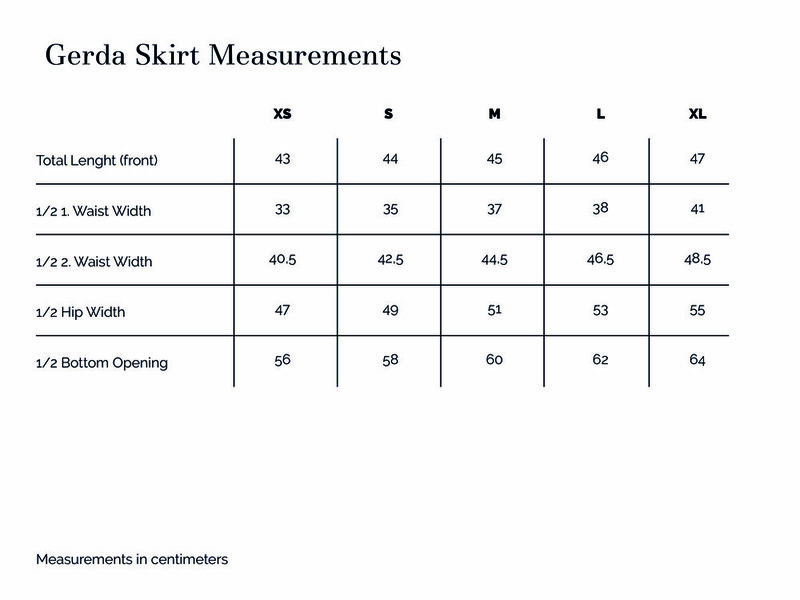 The skirt has two deep front pockets and two back pockets. Trim: The skirt has a YKK zipper in metal. We have chosen a YKK zipper because of it's high quality. There is a button made in metal used when closing the skirt. Our Gerda Skirt are sewn in Bulgaria. Free delivery on all orders within Denmark.